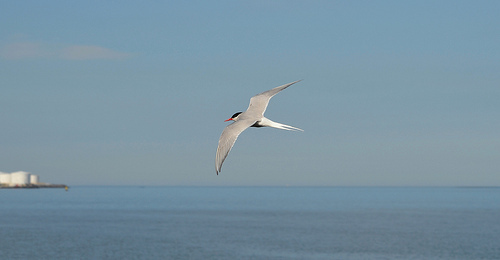 The Arctic Tern is an absolute champion in flying long distances. In summer it breeds in the Arctic and in autumn it migrates to southern Africa and Antarctica. The Arctic Tern is easily confused with the Common Tern, but has a darker red beak and often lacks the black tip at the end of the beak. 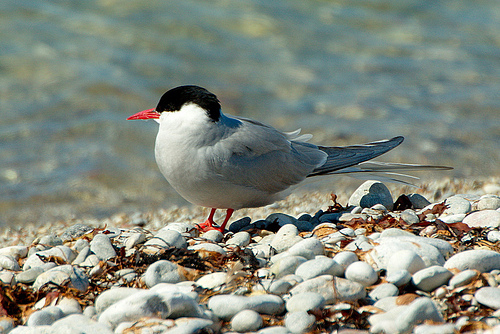 The Arctic Tern has a bright red beak, almost always without the black tip at the end.